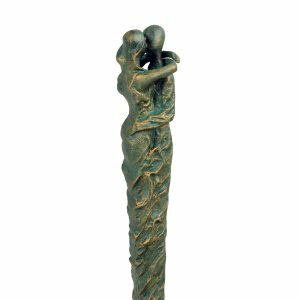 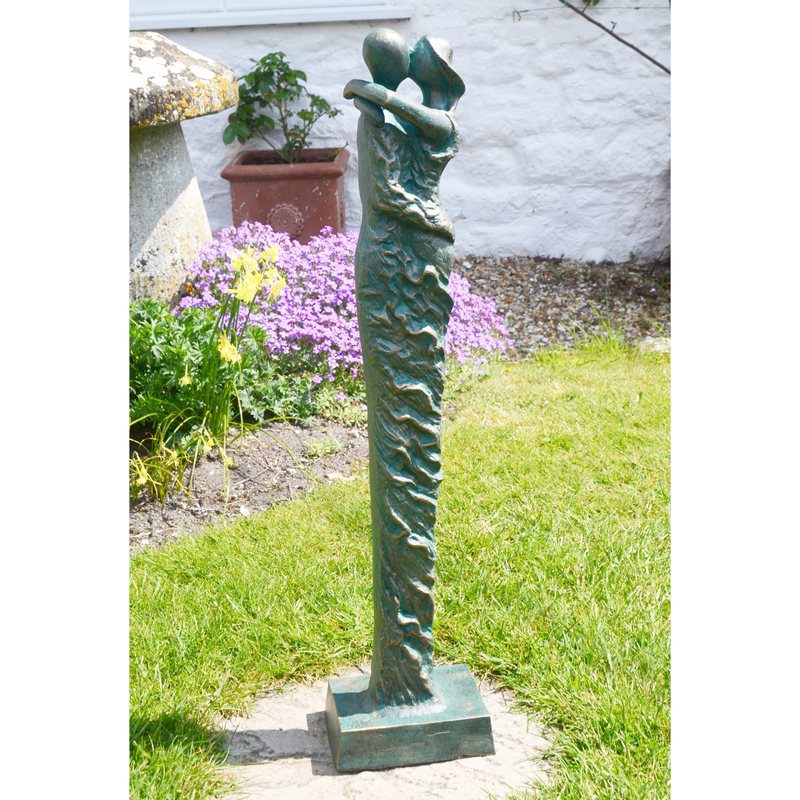 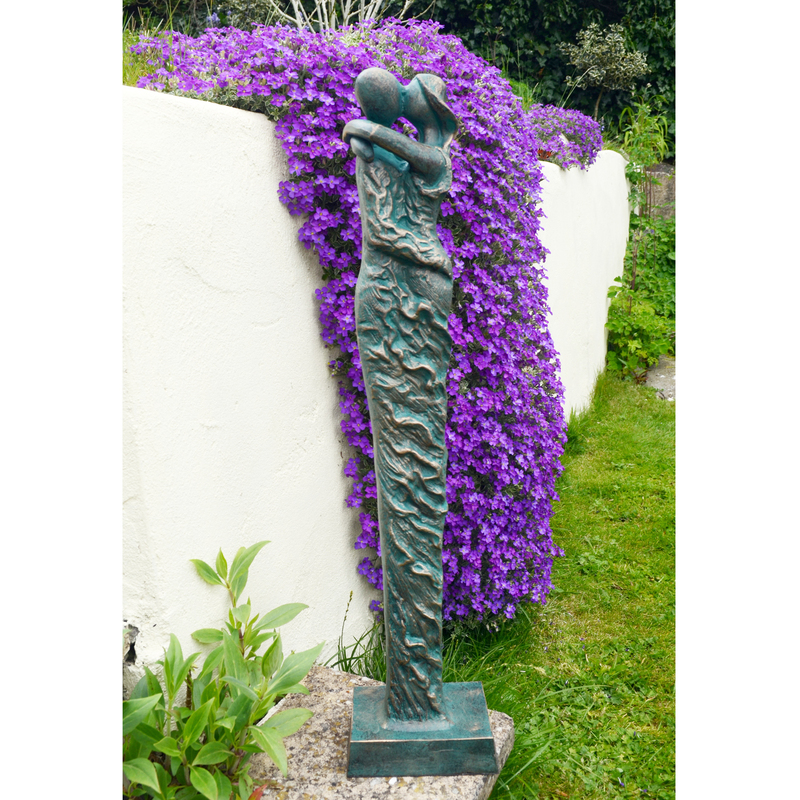 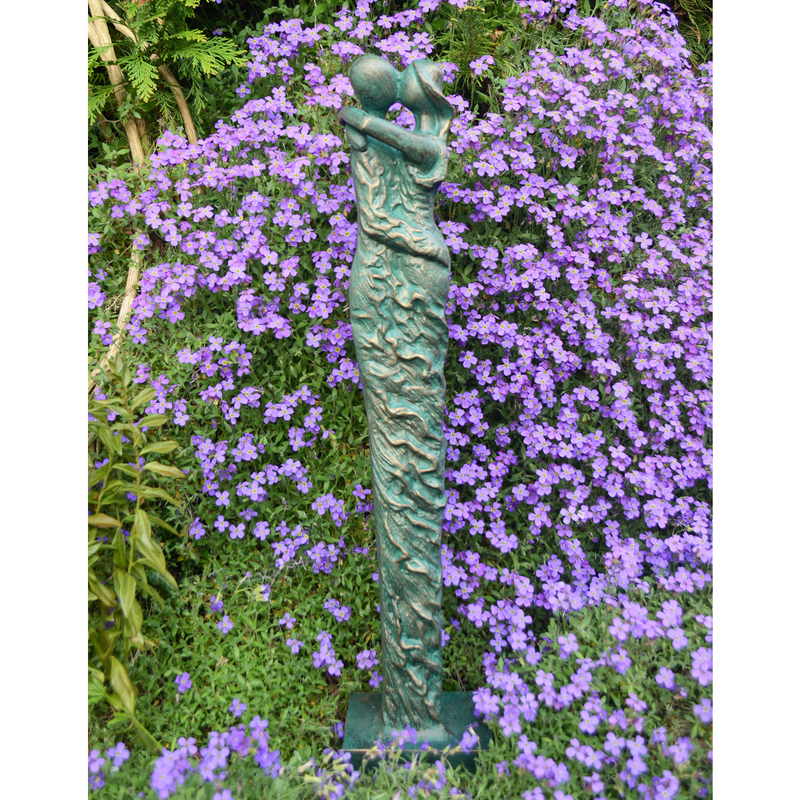 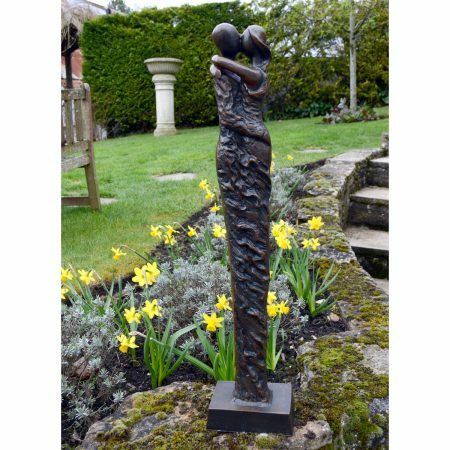 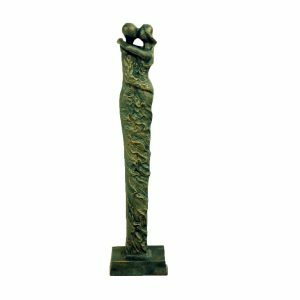 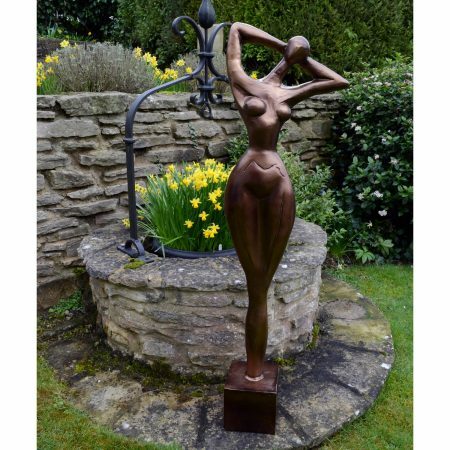 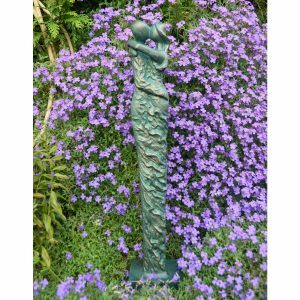 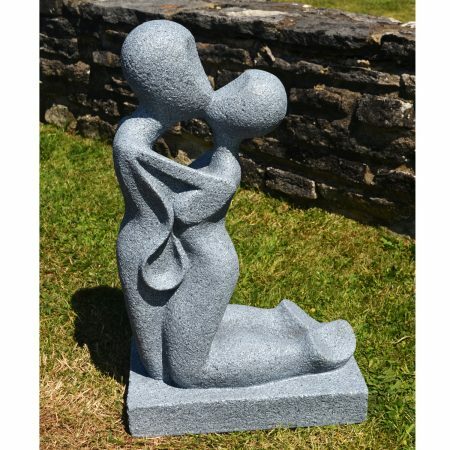 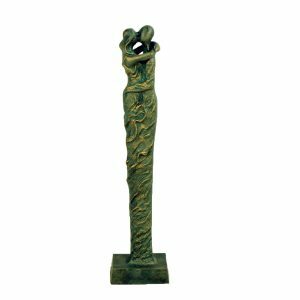 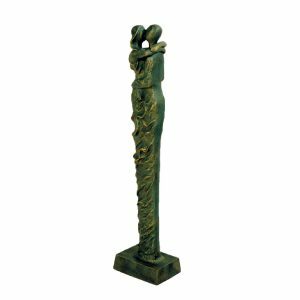 The Contemporary Twist statue is cast in aluminium, it is 63cm tall and depicts a couple kissing this modern statue makes a great garden feature. The Contemporary Twist statue of an embracing couple blending in to one, standing at 63cms. 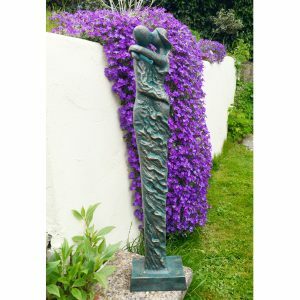 tall, will be a talking point in the right location. Equally suitable for use inside the home. 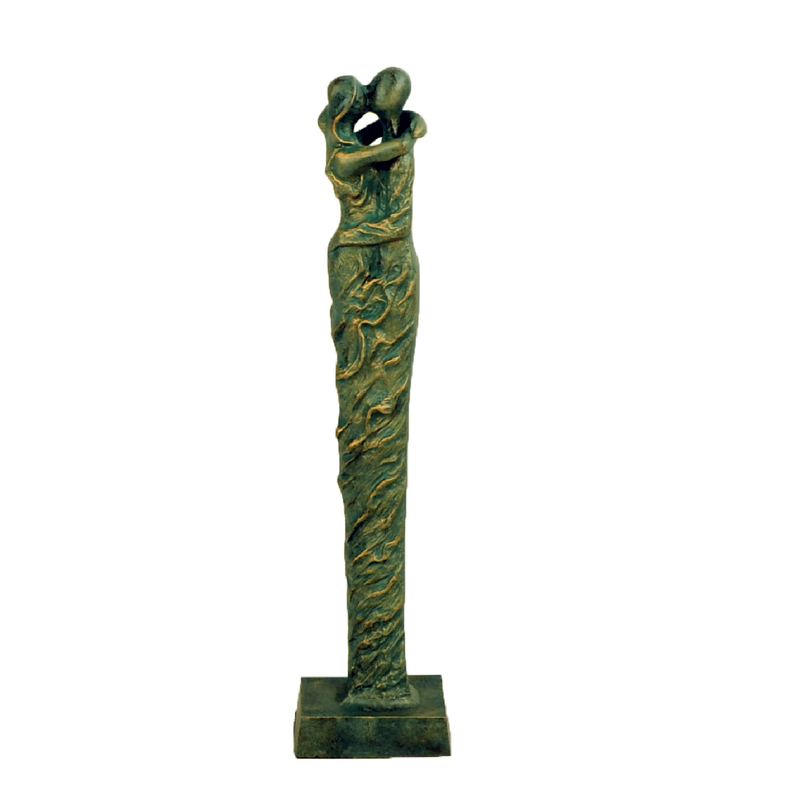 It is cast from aluminium, and finished in an attractive Verdigris effect with a hint of bronze.